I am a big fan of Urban Fantasy books, and this one looked intriguing, so I decided to give it a shot. I am so glad i did. The main characters, Max and Sandra Porter, are moving on from some a events at his old job that lead to them needing a fresh start. Max, a college professor, is hired to do historical research in Winston-Salem, North Carolina, for a mysterious Employer. 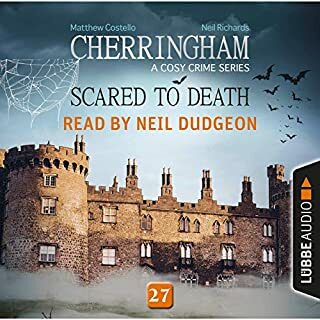 Max, glad to be able to leave Michigan and his troubles behind, starts the research, but he meets Marshall Drummond, who happens to be the ghost cursed and bound to Max's office. Marshall needs Max's help to break the curse, which was placed on him by a witch in the 40's, and just happens to be tied to Max's research. Max's wife Sandra is drawn into the mystery, especially when she reveals she can see ghosts. Not just Marshall, but all ghosts. After a series of adventures and setbacks, the mystery is slowly peeled back to reveal...well, if you want to know, you'll just have to listen to the book. It is very worth it. the characters are well rounded, with Max and Sandra both being compelling characters. Marshall is also sympathetic, but very much a product of his era, the 1940s. There is a lot of actual North Carolina history mixed in to the story, which is well blended to make the story compelling. The author does a great job of drawing you into the story, making you feel your right in the middle of the action. He also self narrates, which is always hit or miss with self narrated titles, but this one is a definite bullseye. he does a great job with the voices, making the characters really come alive and keeping the story flowing. 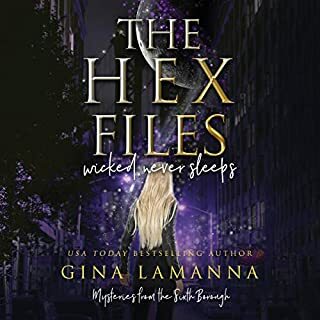 I would recommend this book to any fan of Mike Resnick's Stalking series of Urban Fantasy books, as well as the Nightside books and Dreden FIles. Rescued from debt and unemployment and moved to North Carolina by a mysterious employer and his underlings, Max and Sandra learn many new things. The history of Winston-Salem. The ghost of PI Drummond. Danger. Got you hooked yet? A good read well performed by the author. This is an interesting plot idea, but, there are too many inconsistencies. 1. 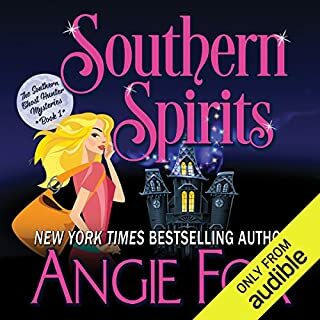 I wasn't sure if the purpose of the mystery was about the ghost, find out the identity of Max's employer or expose an identified evil in town. 2. The characters were flat and uninteresting. 3. Max's wife tells him that she can see ghost and has been able to see ghost forever. 4. Max's life is threatened on more than one occasion yet he continues to investigate without a reasonable reason. 5. In the beginning Max's wife states that she can't help him because of work, then, later in the book she is completely involved in the investigation. There's probably some other stuff as well, but I stopped reading when I found some more interesting books. If I get bored, I might return to it. I can't recommend it. 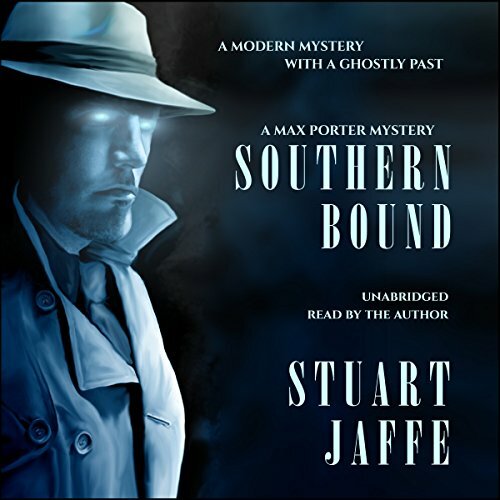 Where does Southern Bound rank among all the audiobooks you’ve listened to so far? What was one of the most memorable moments of Southern Bound? Without giving it away, when Sandra tells the truth about her gift. When Max discovers Drummond the ghost haunts his office. Yup, I judged the book by its cover. I thought, meh, crappy noir. But I do like listening and writing reviews. And since the author traded a free copy for the review, what could it hurt? Nothing, as it turns out. Southern Bound was interesting from the beginning. Even though I’m used to characters who either completely flip out when faced with a ghost or are a bit complacent, I thought Max was just a pansy. He at first chose to ignore what was obvious right before his eyes. For a researcher, the initial lack of curiosity, the passive interest in solving a mystery completely through me off. But then, it gets under his skin. Picking up one clue after another, interviewing people, putting the pieces together starts to work for him despite or in spite of the danger that comes with it. The story flows easily without force from one scene, one clue to the next. The characters have led Stuart Jaffe to a fantastic conclusion. Mr. Jaffe does a wonderful job with the narration. Sometimes, I wonder if listening to the book makes a difference in how much I enjoy it. The narrator has to be good. The story has to be engaging. So I definitely recommend the audible version having skipped the printed one. 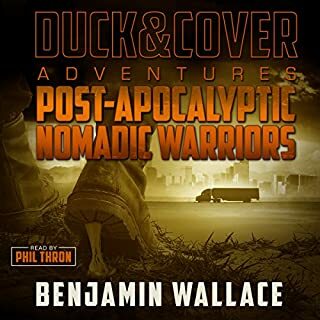 I enjoyed this book so much, I’m already thinking of spending an audible credit on the sequel and kind of irritated that the next two books aren’t already there. Not the best thing ever, but pretty good. Sort of a semi-noir, semi-paranormal mystery. The biggest problem was that the author did successfully invoke a dust-bowl, Depression-era feel that caused a certain amount of cognitive dissonance every time the character reached for his laptop or cell phone. I will note that the author did a pretty good job of narrating his work, which is frequently NOT the case. I found some echo in the playback, but that might have been on my end. I really enjoyed Drummond's character, and I'm looking forward to reading more about him as the series continues. Yes, I liked the book! The concept, I have read before but the writing is smooth and the story moves quickly. What really makes this special, is the narrator! He has a ghostly voice and the villain down pat. Wow! a ghostly story for this Halloween season of the year was perfect! A fascinating mystery that has its beginnings in the early 1940s. Max Porter is a Private Investigator who is trapped by religious sect that dabbles in witchcraft. Discover how Max wins his freedom and solves that age old case he was working on. Did I mention Max is a ghost? enjoy the narrator voice. listen to the whole audio in less than two day. An intriguing story, with not all the facts coming together until the end. The audio is not good with a lot of background hum. What made the experience of listening to Southern Bound the most enjoyable? 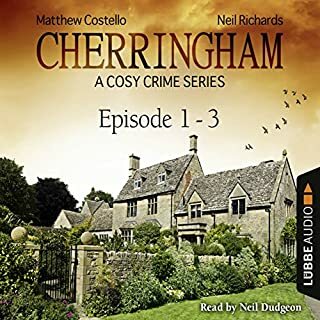 I found listening to this book was really brought to life by the different tones and inflictions used for the different characters. I was able to listen to the story on my way to and from work making the trip more enjoyable and less stressful, especially the trip home. It is a good storyline, that progressed at a great pace and I liked all the characters, especially Max, Sandra and Drummond. This is a good crime type story. Though it is set in modern times, that fact that Max had to do most of his work the old fashion way i.e. books within his office, books from the library and a bit of leg work made me think of the noir crime novels set in the 1950s. 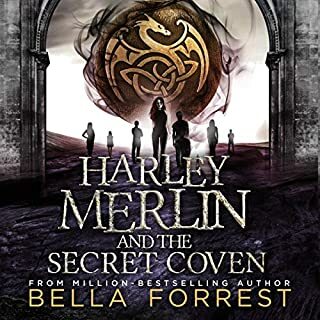 I realised that if I was reading the book rather than listening to it, I would have found the start a bit slow going and perhaps given up for my normal quick paced event happening within the first few pages. However, it didn't take long for me to get interested in the story and found the pace picked up. I'd saw when Drummond came in to the picture that is when I found the storyline got interesting and the characters started to develop and you learn a lot more about Max and Sandra and how they came to be where they are. A good story, one I look forward to continuing on with and going back and listening to this one again in the future.